There were two important reports on the U.S. economy released this morning. 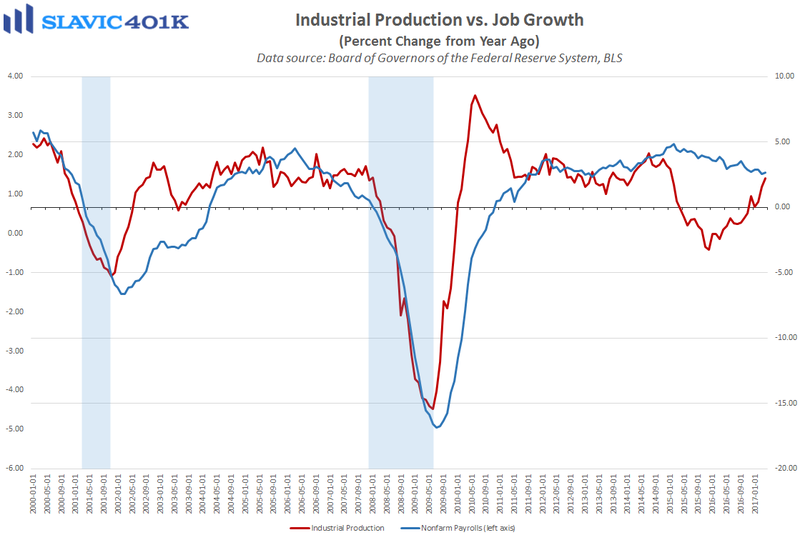 First, data from the Federal Reserve Board of Governors showed that industrial activity in America firmed in April, as total production jumped by 1.0 percent. That was much better than the 0.4 percent gain economists had expected, and the largest monthly increase since February 2014. Further, U.S. industrial activity on a year-over-year basis rose by 2.2 percent in April, the fastest pace of annual growth recorded in more than two years. 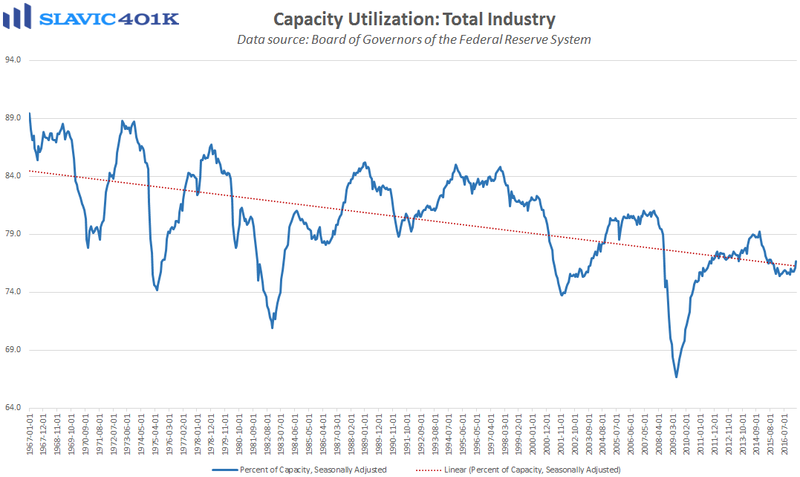 Manufacturing, which makes up roughly 75 percent of all industrial production, also jumped in April (1.0%), and capacity utilization, sometimes used as a leading indicator of inflation and potential output, rose to 76.7 percent, the best reading since August 2015. 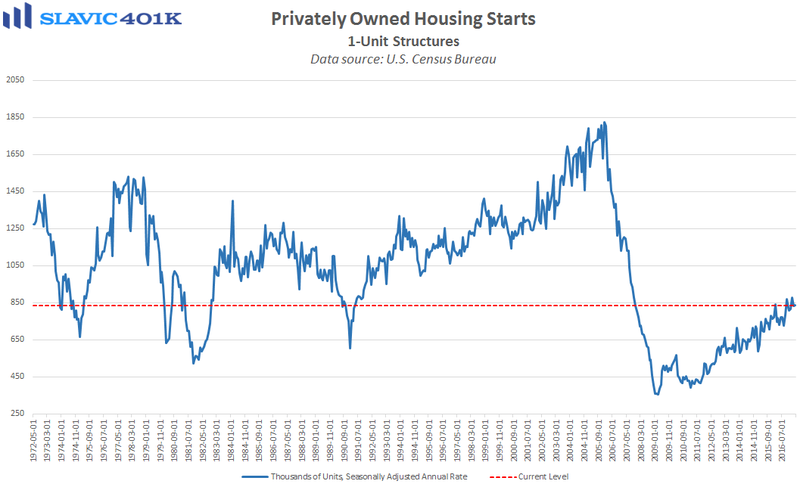 Elsewhere, a report from the U.S. Census Bureau showed that privately-owned housing starts in April grew at a seasonally adjusted annual rate (SAAR) of 1.172 million units. That was a 2.6 percent decrease from March’s downward-revised print, the lowest reading since November, and much worse than economists had anticipated. However, most of the weakness in April was due to multi-family units (rentals), which fell by 9.6 percent, the third monthly decline in a row. 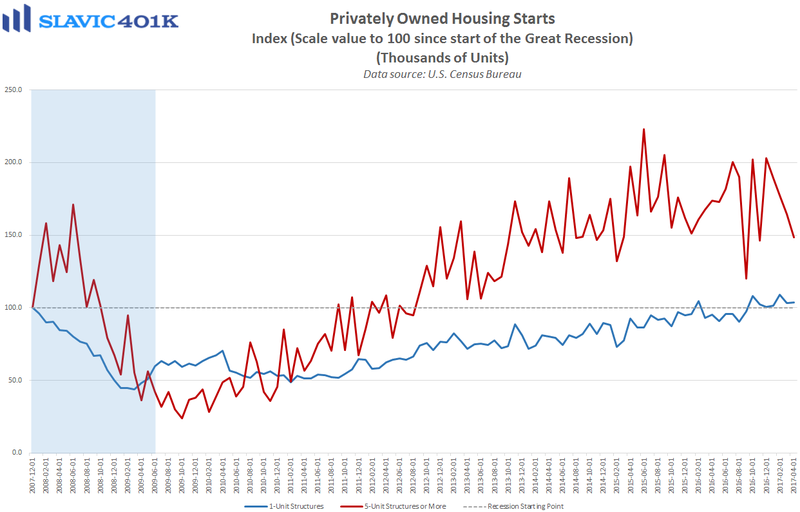 Single-family housing starts, on the other hand, edged higher by 0.4 percent and remain near cycle highs. 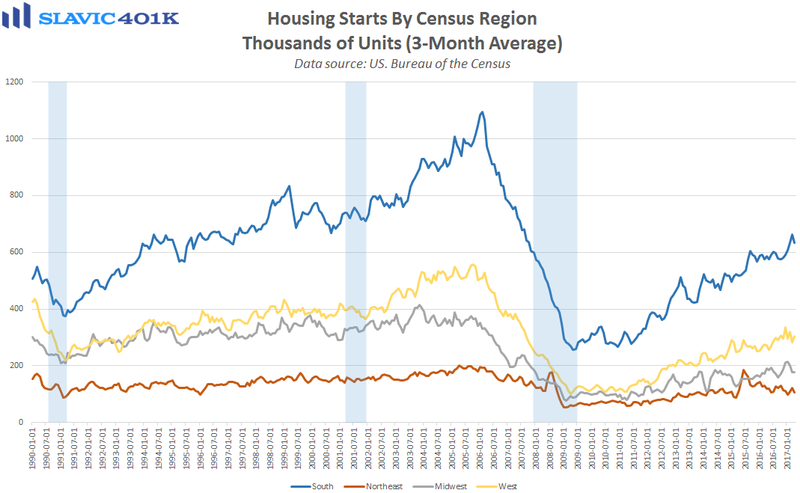 Regionally, housing starts last month increased in the Midwest (+41.1%) and the West (+5.4%) but decreased in the Northeast (-37.3%) and South (-9.1%). As for total building permits, this popular gauge of future construction activity declined by 2.5 percent in April but remains 5.7 percent higher compared to this same period last year. A lack of available lots, a shortage of skilled workers, and a burdensome regulatory environment have together weighed heavily on construction authorizations recently, thus exacerbating the housing shortage that has driven up prices for would-be buyers.